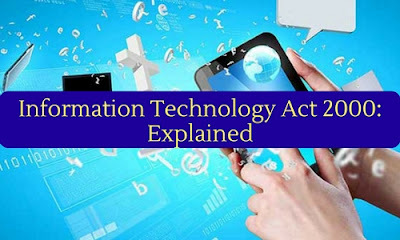 Information Technology Act 2000 is an enacted to the whole of India. The Act has been drawn from the Model Law on Electronic Commerce adopted in 1996 by UN Commission on International Trade Law (UNCITRAL). The Information Technology Act is also called as Cyber Law. The provision electronic records help to maintain the records in an electronic form rather than the traditional method of paper based and oral testimony. It means information generated sent, received or stored in media, magnetic, optical, computer memory, micro film. It is defined as “authentication of an electronic record by a subscriber by means of an electronic method or procedure, in accordance with the provisions of Act”. It means that any information which has to be affixed by a signature is linked to the digital form so their authentication can be verified. Customers can submit their record their information to banks in digital form so that they can open an account or for other transactions. Banks can make payment or receive payments or other charges by way of electronic means. Rules, regulations, orders, bye-laws or notifications can be issued or published in electronic form. When a person wants a digital certificate, it makes an application to a Certifying Authority (CA) for issue of the certificate. The requirement of any law prescribing retention of records for a particular period, shall considered to be met, when the records are kept in electronic form. Any instruction, information, data or program that destroys, damages, degrades or spoils the performance of a computer system. Hacking is an offence and one will have to pay up to Rs. 2 lac or undergo imprisonment up to three years for hacking. Hacking means concealing, destroying or causing another to destroy or alter any computer code used for a programmer or computer network.